Braga’s long heritage and diverse cultural background has led to a wide variety of events and festivals that now hold their place in the city’s annual calendar. Whether you are in search of religious festivals, fine arts showcases, theatre, music or simple traditions that are represented all over Portugal, Braga has plenty to offer its visitors from January to December. Semana Santa, or Holy Week, is one of the largest events of the year and takes place at Easter. Semana Santa is a major religious festival which is celebrated all over the Iberian Peninsula, with Braga held to be one of the most important cities in which to spend it. The celebrations consist of 10 days of processions and activities all over the city, with an emphasis of course on its cathedral and many churches. The celebrations are intended to mark the passions, the death and resurrection of Christ, and other affiliated religious and cultural events. During Semana Santa, the entire centre of the city is decorated, providing a festive atmosphere throughout. 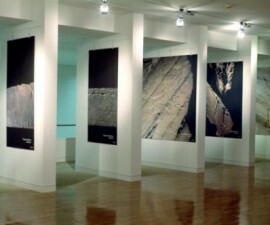 At the same time, there are many exhibitions, presentations and performances that may be attended free of charge by locals and visitors alike. 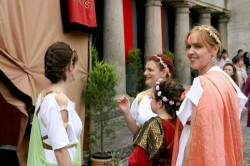 Braga Romana is one of the most famous Braga festivals. 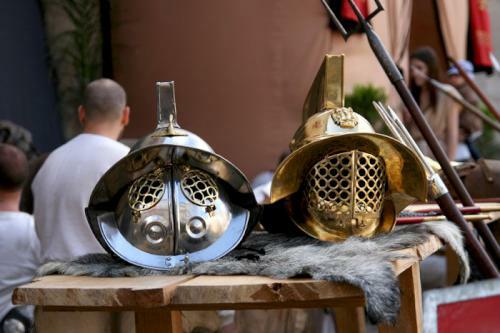 Braga Romana takes place every year at the beginning of June and was born out of an initiative to relive the past of the ancient city of Bracara Augusta, the metropolis founded on the site of the present-day city of Braga by the Romans some 2000 years ago. 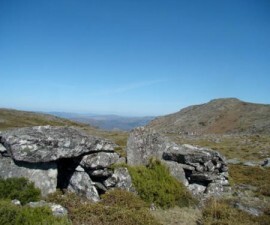 As the former capital city of the province of Gallaecia (which gives its name to the present north-western Spanish province, which is located just over the border to the north), Braga played an important part in the everyday life of the Roman Empire. Braga Romana recreates a Roman market in the central area of the city, which also plays host to Roman processions and entertainments in the style of the townspeople’s ancient forebears. 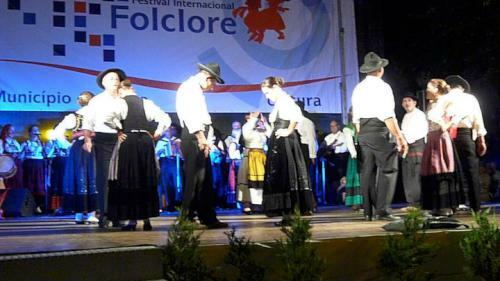 Later in June come the celebrations of the festival of Sao Joao. The Sao Joao Festival is dedicated to St John the Baptist and traditionally marks midsummer. It is celebrated in many parts of the world, from Portugal and Spain to Goa and Brazil, but northern Portugal is held by many as being the home of the best Sao Joao celebrations. The celebrations in Braga are often eclipsed by the enormity of the Sao Joao festival which is held in nearby Porto; however, it is a huge event here in its own right and well worth making the effort to coincide with your trip to Portugal. The Festival takes place on the night of June 23rd and involves a huge street party and feast which lasts all night until dawn. During the days leading up to the feast the Parque de Exposiçoes is home to a multitude of tents and marquees serving traditional and contemporary food and drink. At the end of Sao Joao yet more celebrations begin, although this time in a more sedate form with MIMARTE, or the Braga theatre festival. 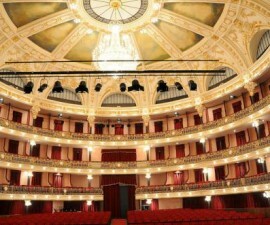 The Braga theatre festival lasts throughout the first half of July and plays host to theatre groups from home and abroad in a variety of locations throughout the city. 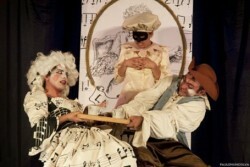 Performances are held at the Rossio da Sé, the Arcada (Praça da Republica) and the D. Diogo de Sousa Museum, but there is also a heavy focus on street theatre, with planned and ad hoc performances taking place all over the city. Music plays an important role in Portuguese everyday life, and Braga is no exception. The city plays host to major names from across the country and beyond all year round, culminating in the BragaJazz festival each year. BragaJazz has been running for many years now and is a meeting spot for jazz musicians, lovers of jazz music and visitors keen to experience a different side of the city’s cultural offerings. The music theme continues on International Music Day, which takes place on October 1st. A whole festival has evolved around this date in the city of Braga, known as Music in the Fall. Music in the Fall is a series of shows and events, each featuring different musical genres at some of the city’s most notable theatres and entertainment venues. The Braga International Folk Festival completes the musical offerings. The Braga International Folk Festival takes the form of a three-day event designed to bring together the city’s rich cultural past with its contemporary musical edge.